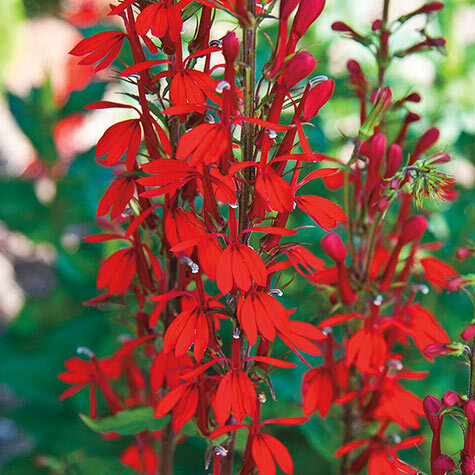 Cardinal Flower | Gurney's Seed & Nursery Co. 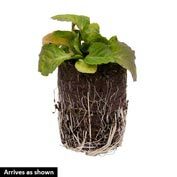 Depth: Plant top of root ball at soil surface. Pollinator: Hummingbirds are the chief pollinator. Foliage: 2 - 6 inches long and are narrowly lanceolate, with fine teeth on edges. Dark green turning scarlet in autumn. Blooms: Mid summer to fall. Fruit: Seeds are two-celled pods that open at the top. Zone: 2 - 9 (-50° F.). Form: Upright, short lived perennial. 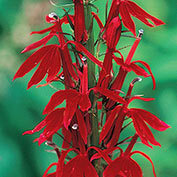 Flower Form: Tubular blossoms that cover 1- 4 foot tall flower spikes. 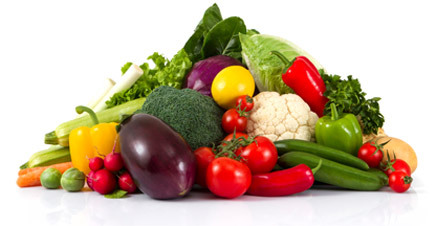 Soil Requirements: Well-drained, moist, sandy loam soil. Growth Rate: Slow growth rate first season, fast thereafter. Pruning: Dead-head. Remove spent flowers. Allow the foliage to die sback. Size: 1- 4 foot tall flower spikes. Comments: Native wildflower, striking red color. Frequents moist meadows and, stream edges. Mulch to maintain moisture.